The art in home decor is unlimited and has many creative innovations that are very famous in interior design. Matching the colors is no longer the key for success in interior design, bold colors in decor are trendy this year. Italians are famous for their keen on elegance even in the smallest details in different areas of life. Italy is the country of fashion and bold decorations. These designs gathered the Italian decorations with the old, originality and the modern style which is what distinguishes it from other styles, and make them look luxurious and elegance. The creativity is prominent through the drawings. Fine paintings and inscriptions which remind us of the beautiful historic mansions, the creativity is also prominent in the carvings on the columns that are very important in the Italian decor, as well as the passages that highlight the beauty of the place. Despite some trendy designs that go into the decor, the Italian decor kept its character through the modern additions that appear in colors such as beige, brown, light gray and white. In general, dark colors like blue and maroon and olive reflect the nobility and beauty in the furniture and furnishings. To complete the whole line, designers focus on the lighting of a classic or royal character that is fixed on the walls, in the hallways, and in the corners. To give the place a quiet and soft lighting and increase the elegance of the decor, we find the lighting locations are important, especially paintings, and accessories have a special place because they fall within artistic touches in the interior of Italy. There are many stunning marble floor designs in marble and mosaic which is considered one of the most important achievements in the design and manufacture of Italian houses floors, in addition to the designs of the interior lighting where the elegant hand blown glass is used, as well as silverware for hospitality and furniture, bed linen and carpets. 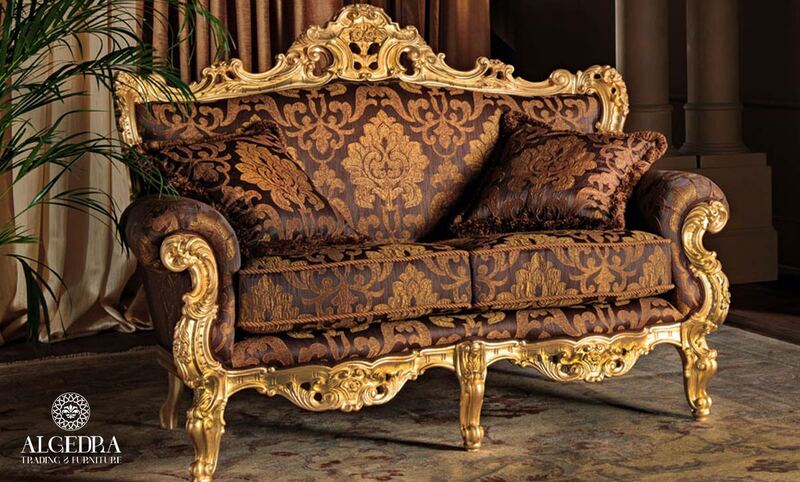 The Italian touch turns an ordinary home to an elegant and stately home. All the Italian design lines are inspired by the Romanian museums and temples, the essence of the Italian design is to find a balance between comfort and functionality. "ALGEDRA" customers prefer the Italian furniture blended between modern and classic, to provide it with a very special taste and of elegance and simplicity in addition to the beauty of appearance and consistency of colors. The living room derives its beauty from the consistency of furniture and accuracy in the selection of colors, as well as the good distribution of the various accessories not to forget the good lighting. They have a special place for the Italians that’s we find that most of their decoration are inspire from their past heritage with some modern touches. An Italian decorated bathroom is beautiful for its large space. Modern technologies were introduced to its décor. It is also known for the prominent presence of Ceramic & Marble in various shapes and sizes and the presence of mirrors in every corner. 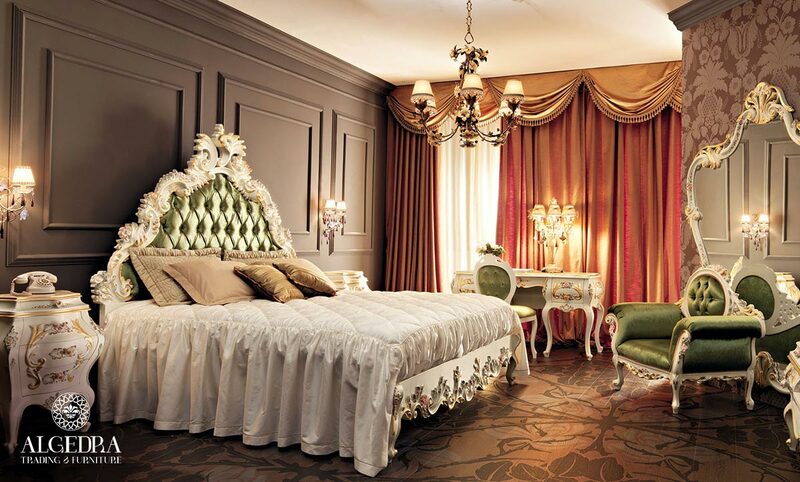 The bedrooms in this type of decoration have the luxury in the furniture and colors, as it depends mainly on the consistency of these other two. The Italian style is characterized by elegance and distinctive luxury in whatever shape or size and evolved into living spaces to become more fun for guests or for leisure where they became more open and work on improving the ventilation of the living room and other areas.